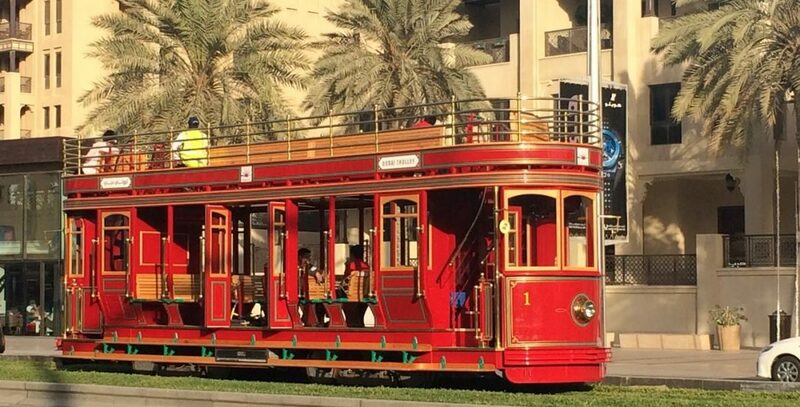 The Dubai Trolley is a tramway in the Downtown Dubai development which uses a fleet of double-deck heritage-style open-top trams to provide transport services and as a visitor attraction. The project was announced by Emaar Properties on 23 April 2008, with opening proposed for the end of 2009. The total cost was put at AED 500 million. The line is being built in three phases which will eventually form a 7 km loop around Downtown Dubai. The open-top heritage style double-decker trams built in the USA by TIG/m are powered by fuel cells, with batteries for to recover regenerated braking energy.